Explore Your Archives 2017 - What other school records might I find? Explore Your Archives 2017 – What other school records might I find? 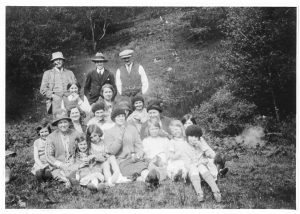 In our final blog post for Explore Your Archives 2017 we are going to highlight a selection of valuable records you might also find within our school collections. 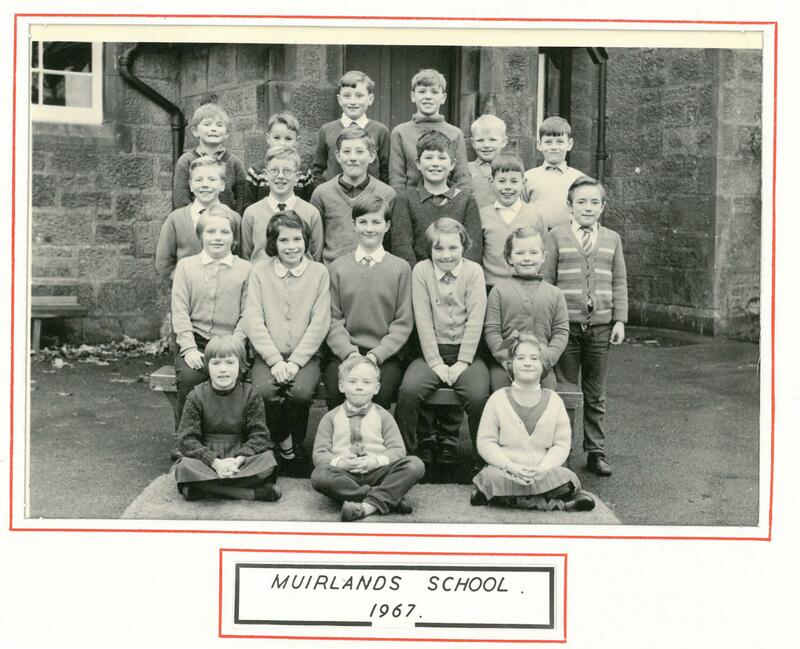 One of the most important records for local and family history are school photographs. They provide a striking snapshot of pupils and teachers at that point in time. The photograph below, for example, is a rare image of pupils from Inversnaid School on a school picnic trip to the shores of Loch Lomond c. 1940. 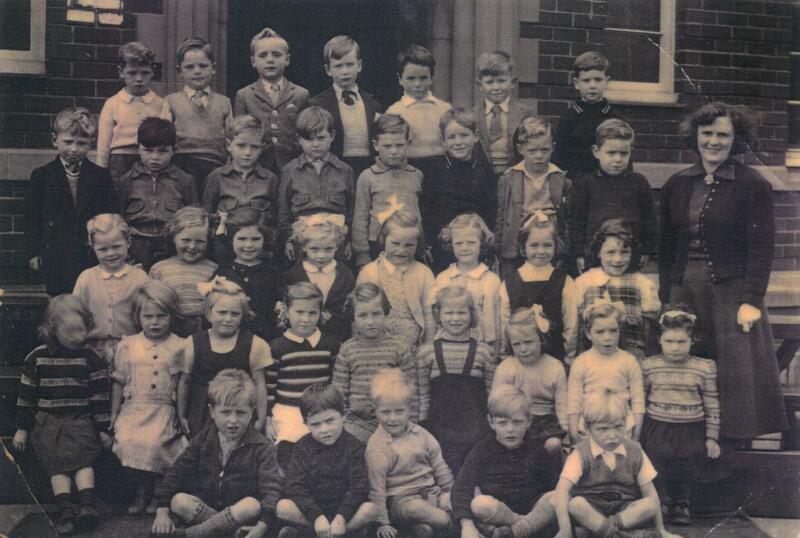 This image from Raploch School shows one of the intakes for 1936-1937. 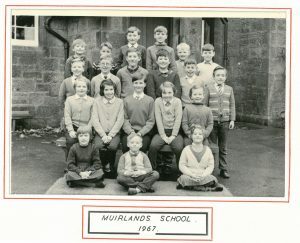 This image from Muirlands School in 1967 shows one of the last class photographs before it closed in 1969. 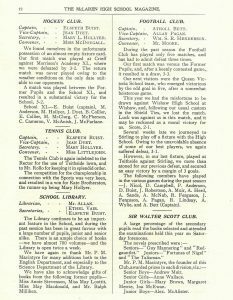 Another useful source of information for genealogical research are school magazines. 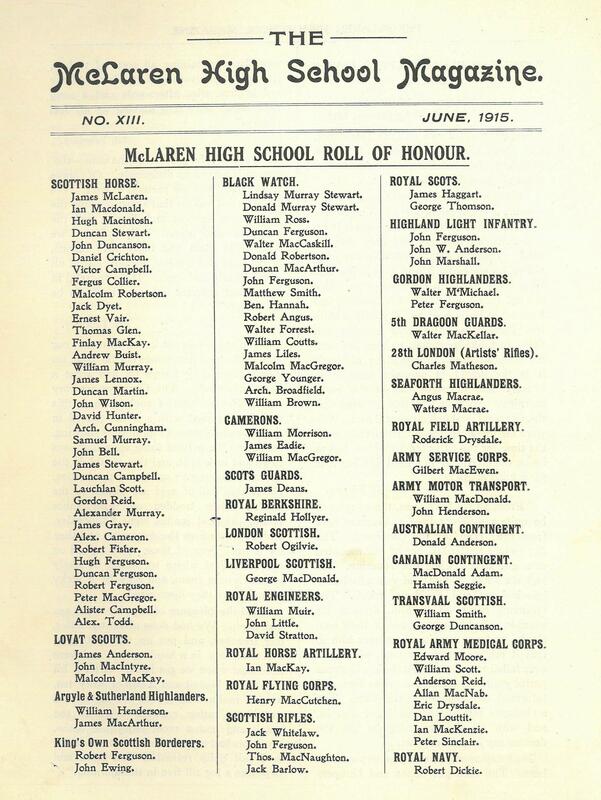 A great example of this can be found in the collection for McLaren High School in Callander. 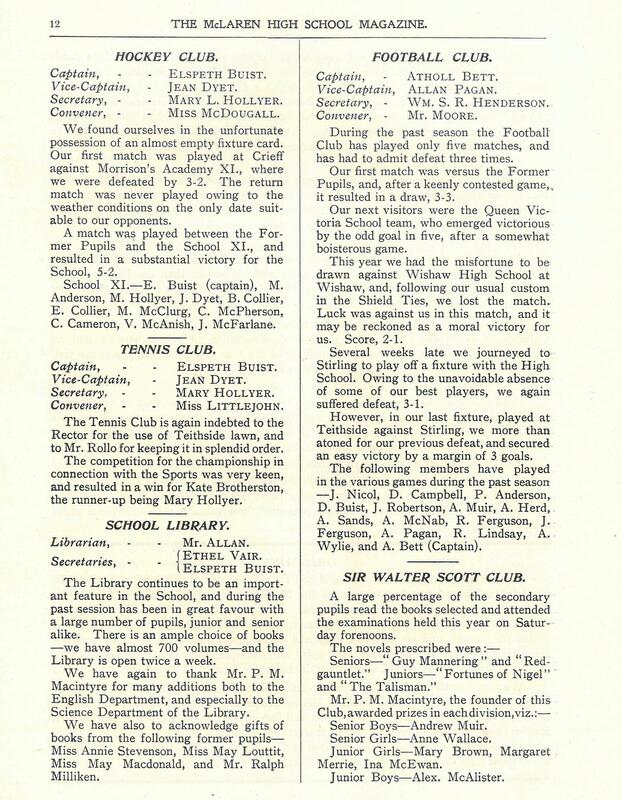 The image below shows who was involved with the school’s hockey, football and tennis clubs in 1915. 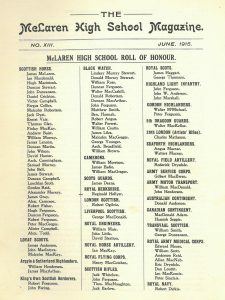 The same McLaren High School magazine also provides an invaluable roll of honour for 1915. 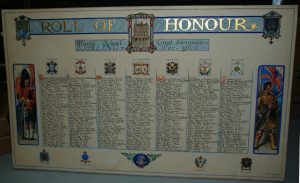 A number of schools created a roll of honour but unfortunately they don’t survive for every school. 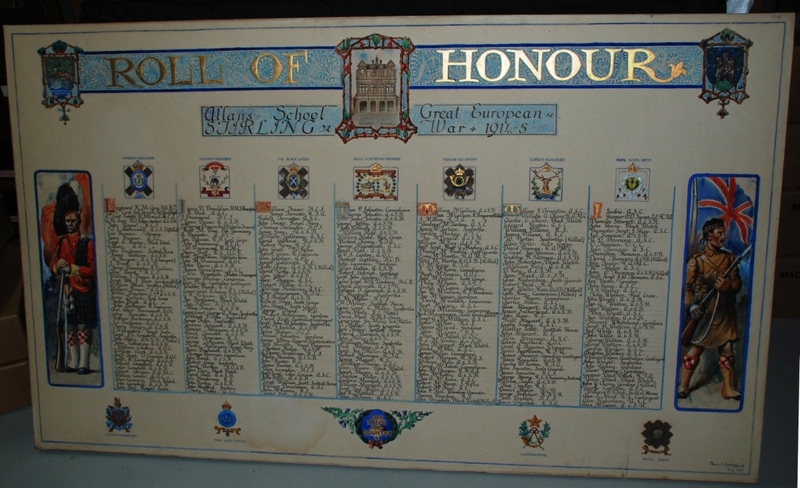 This example for Allan’s School in Stirling, however, is definitely one of the most impressive we have seen. 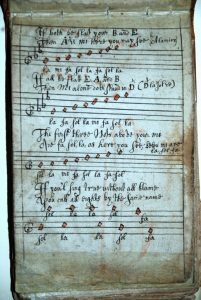 One of our earliest school records is this schoolmaster’s commonplace book found within the Dunblane Cathedral collection. 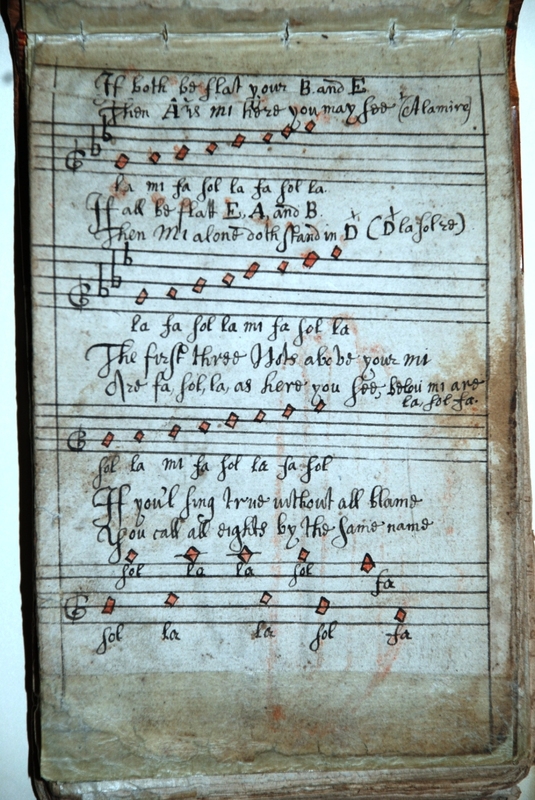 We have already written an article about this unique record so click here to find out more. Finally, sometimes a school record will include something you simply don’t expect. This minute book for the East Plean Subscription School includes a register of deaths at the William Simpson Asylum in Plean from 1888-1894. Why this is included we don’t know but the information here is certainly invaluable. We hope you have enjoyed our articles on school records for Explore Your Archives 2017.